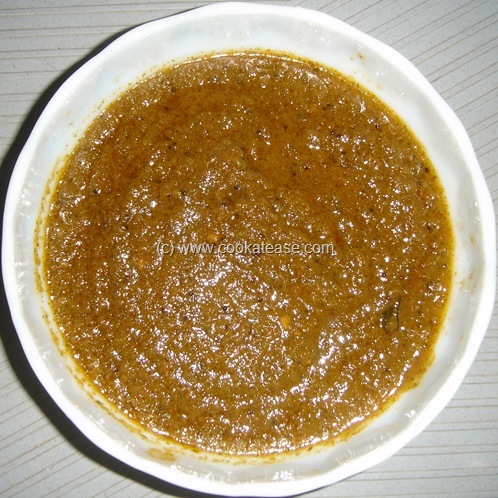 Mint Coriander Chutney is a colorful and nutritive chutney. This is easy to prepare and goes well with all south Indian snacks. As this chutney does not contain coconut or dal, it can be kept without refrigeration even for a day. Mint is Pudina in Tamil and Coriander is Kothamalli in Tamil. Chop and grind together all the ingredients nicely except items given for seasoning. Heat a pan with oil and do the seasoning; add the ground items and fry for one minute; cover and cook for minimum 5 more minutes; remove when oil separates from the surface with nice aroma. Tasty mint coriander chutney is ready. 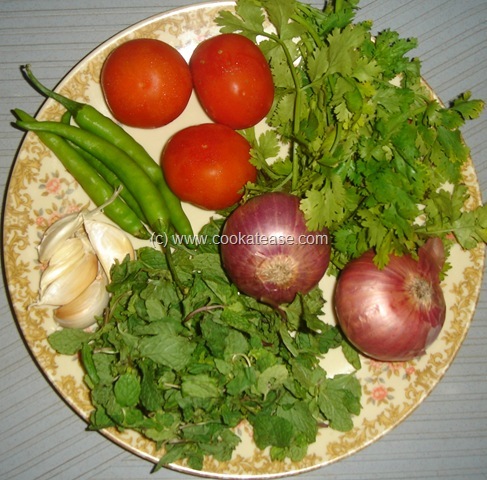 Use fresh mint and coriander leaves. 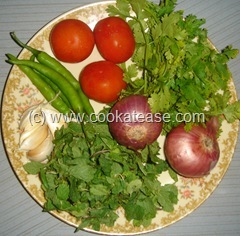 mint coriander chutney looks very delicious, must be excellent with samossas and hot snacks!! delicious recipe!!! I love to combine both mint and coriander too,but my hubby dont like this combination…feel like having few tsp of chutney with hot crispy dosas.. Wonderful chutney! Just looking at ur pics makes me drool, and no doubt the chutney will be yummy too. thanks for the recipe!